In the previous article I summarised what lambic mythbuster Raf Meert had found out about the history of this wonderful beer type from Brussels and surroundings. 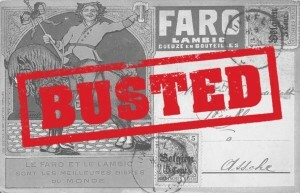 To put it briefly: everything lambic brewers’ association HORAL and self-proclaimed authorities like beer writer Jef van den Steen had claimed so far on this subject is embarrassing hokum, unfortunately. In reality, this remarkable tart beer doesn’t go back further than the eighteenth century, and it contained a lot more wheat than today. 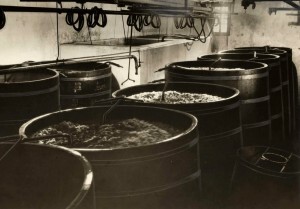 Initially faro was the strongest kind of yellow beer, until the even stronger lambic appeared. 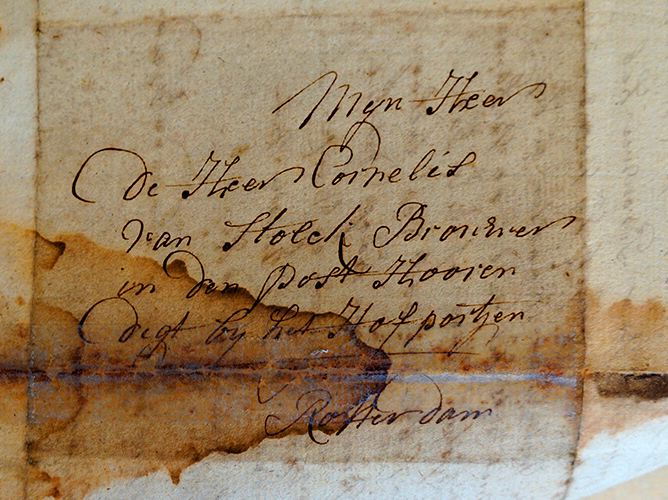 So here’s my contribution: how do the faros and lambics of the Netherlands fit into this story? Sometimes you suddenly see the light. At least I did last Saturday, at the Carnivale Brettanomyces in Amsterdam. I was invited to do a talk at this wild yeast festival, and it was another nice opportunity to socialise with other Dutch beer enthusiasts. Blending my own Mestreechs Aajt with beer writer Henri Reuchlin at the bar at the Arendsnest for instance, from the extremely sour barrel beer and a few commercially available beers by Gulpener. Great fun, but to me the climax was the (undeservedly poorly-attended) talk by Raf Meert, the lambic mythbuster. The roadsides are filled with poppies again. 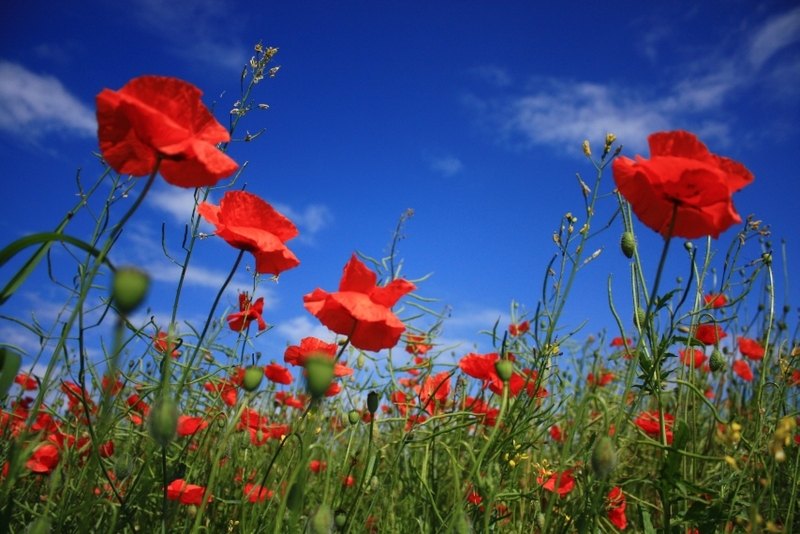 So this is the right moment for a poppy beer recipe. I’ll keep it short, so you can start brewing right away. It has arrived: when I walked through the sunny historic centre of Utrecht this morning, my eye was caught by some big pub windows announcing the ‘Limited H41 Lager Explorations’. 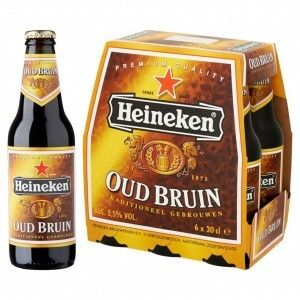 The new Heineken beer had reached my town. ‘Specially brewed with a rare yeast from Patagonia’. And all I could think of was: New Coke. And now, let’s talk about the least known Dutch beer type: oud bruin. You won’t see it in fancy beer pubs, or at craft beer festivals. The most likely place where you’ll find it, is the highest shelves in the supermarket. It’s hard to find anyone who actually likes this ‘old brown’, a low-alcohol beverage that tastes like diet coke. A sweetened, weak, bottom-fermented 2,5 ABV dark beer. What on earth is to be said of such a depressingly plain drink? 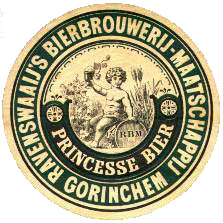 In the last article, we saw how princesse beer first surfaced in Amsterdam in 1748, and that it disappeared around 1900, outcompeted by modern bottom-fermenting beer. And now it’s back, because I found an original recipe which enabled brewers to produce it again. And… you can make it yourself. 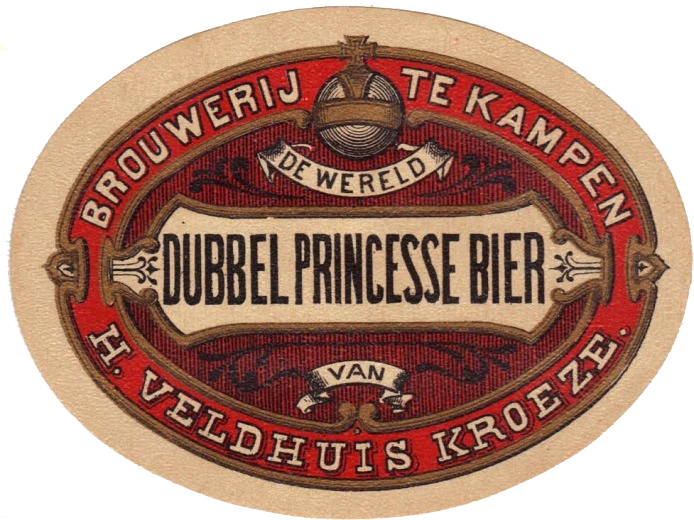 Now let’s talk about one of the most popular Dutch beers of the 19th century: princessebier. Where did this ‘princess beer’ come from, when did it disappear, and what is that funny name about? And of course, is there a recipe? There is, and not only has the renowned Anchor brewery made a one-off reconstruction, it is going to be re-brewed by a once-famous Dutch beer brand as well. Looking for lost beers is fun. But what do you do once you’ve found such an old recipe? Do you start brewing it again? Can you brew it again? 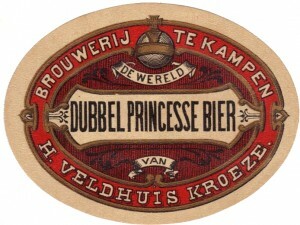 An interesting example is a beer from Nijmegen. This nice Dutch university town by the Waal river is a good beery place to visit. 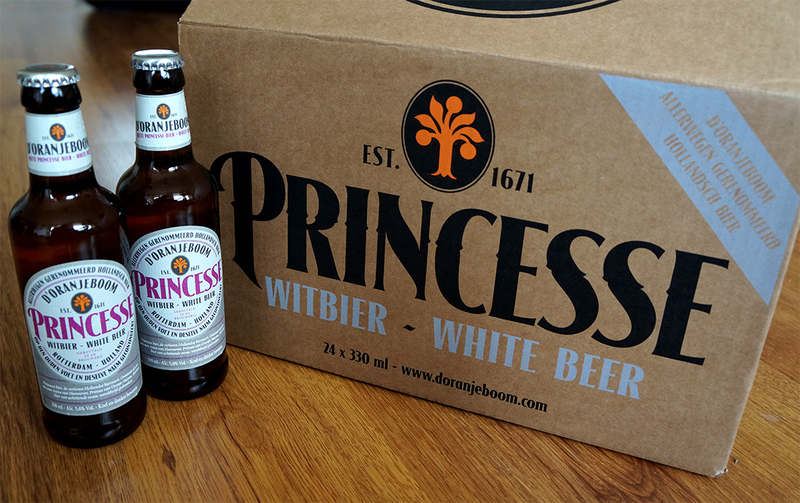 It has De Hemel brewery in the town centre in what is originally a 12th century building. 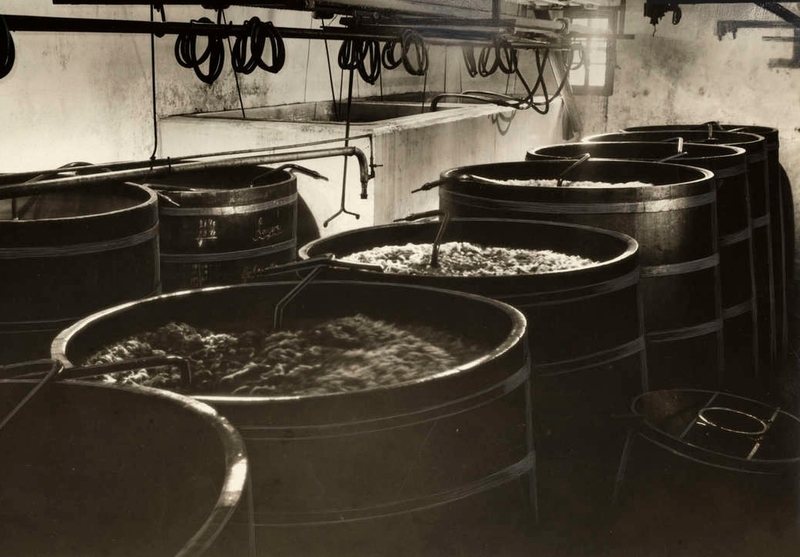 Young brewers like Oersoep and Katjelam are not afraid of the odd experiment. 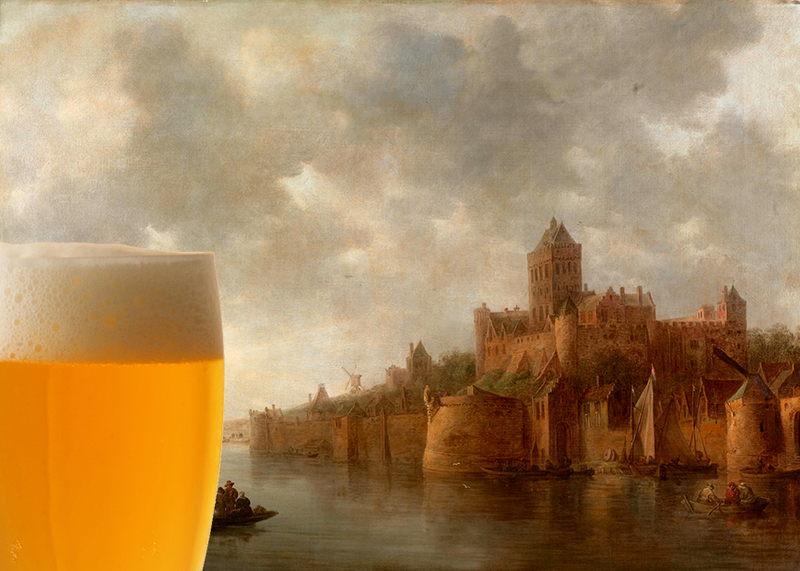 But once Nijmegen was really famous for its beer: mol. 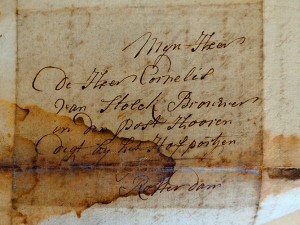 Which in Dutch means ‘mole’.